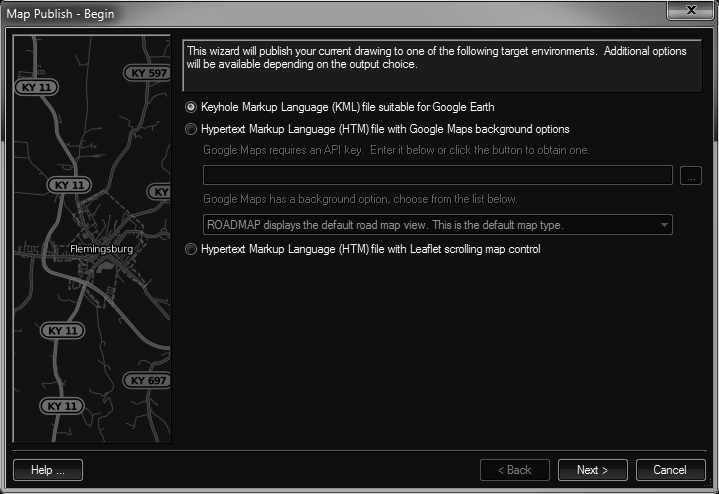 Publish your drawing to an KML (Google Earth) or HTM file using Google Maps or Leaflet to display the drawing in a browser. Push the html file to your web server and anyone (with an internet connection) can view the map using any type of device or browser. I don't think so. However you should look at this demo page which lets you see all the base and overlay layers (that I'm aware of). If you see anything that needs added to the Publish list under Leaflet, let us know.